Education Operations is seeking to employ qualified and experienced person to deliver training and assessment in our Marine and Composites area. • Prepare, plan and conduct teaching sessions and undertake resulting requirements. • Required to supervise and monitor student progress. • Provide pastoral care to students as well as provide course advice and guidance as required. Excellent written and oral communication skills and a customer centric approach are essential as is the ability to manage a busy workload. • A current Driver’s Licence (Car). Outstanding customer service, along with a professional approach is essential. 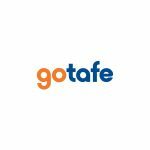 GOTAFE is committed to the safety, wellbeing and inclusion of all children, including those with a disability, Aboriginal children, and children from culturally and/or linguistically diverse backgrounds. GOTAFE is creating a next generation workforce, more open, inclusive and diverse than ever before. We embrace diversity in all its forms and are building a workforce that reflects the people within our communities including Aboriginal people, people with disabilities, LGBTIQ and people from culturally diverse backgrounds. Please go to our Careers Centre at www.gotafe.vic.edu.au and attach a Cover Letter, Resume and a statement addressing the Key Selection Criteria as outlined in the position description. Please note that applications that do not address the key selection criteria will not be considered.